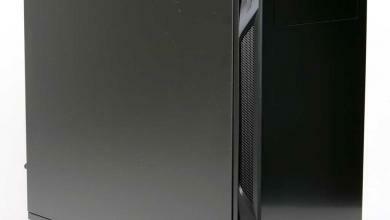 Modders-Inc was able to look at the Origin PC Millennium Computer Case earlier this year and we have biting at the bit to our hands on one. 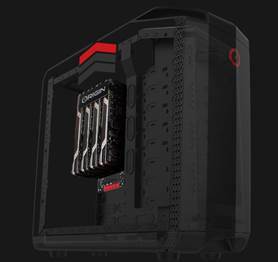 This is truly a case that is like no other and will soon be on everyone’s list of computer cases to buy. When the chassis is received by a customer it is already in the Orientation that they requested, any changes to the orientation that the customer may want to do will be done Via calling our 24hour support service and we will walk them through the entire process. 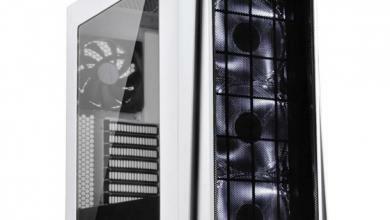 The reason being that we truly had no plans on making this Chassis available for sale on its own. The process for making changes to your system post ship out from Origin is calling our knowledgeable support staff and they can quickly walk you through it with components inside so you can imagine how much easier it is when it is empty. Please take into consideration that this Chassis was never designed to be sold on its own and our selling it as is, is our way to show our love and thanks to the DIY crowd for supporting our chassis and praising/ noticing the hard work that we put into it. 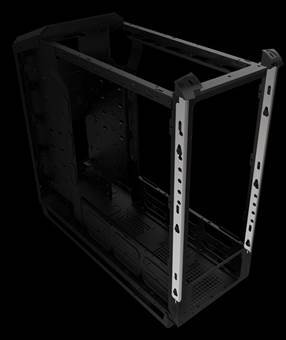 The Chassis will only be available for a limited time and if you are receiving this email a chassis is on its way to you for review. 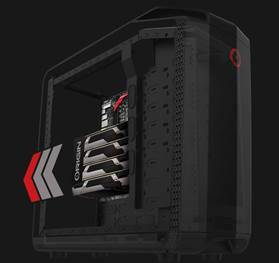 Variable Mounting – This is an ORIGIN PC Exclusive that allows for the motherboard to be mounted in 4 different Orientations depending on the customers taste and cooling preference. 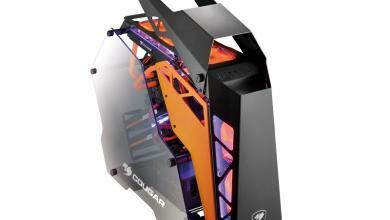 This make the chassis truly customizable. Front Door Orientation and Hot Swap bays- The front door can be configured to open left or right to match the customer’s choice of variable mounting and window. 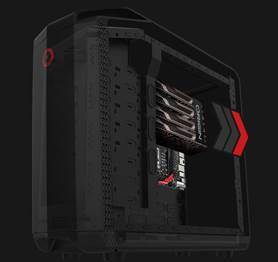 Also featured are five server grade hot swap hard drive bays on all GENESIS and MILLENNIUM systems, prewired and ready to go as a default feature. 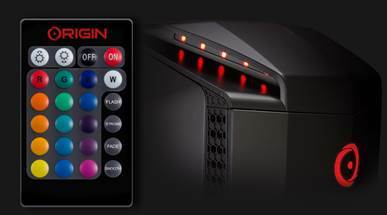 Always ready I/O – with 4 front accessible USB 3.0 ports (motherboard allowing), Headphone, Mic, Power, Reset, Origin PC Fan mode and Fan controller controls you can take command of your system and choose how your fans are controlled; will you control it or will you let the motherboard, the choice is yours. 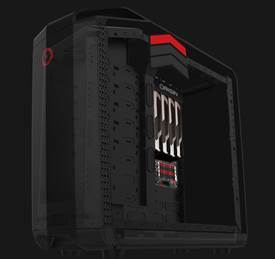 Bottom Expansion Kit – The GENESIS Full Tower chassis derives from the MILLENNIUM Mid Tower chassis which can be upgraded to a GENESIS model with the exclusive ORIGIN PC Expansion Kit allowing support for twin 360mm radiators or up to 33 additional hard drives. 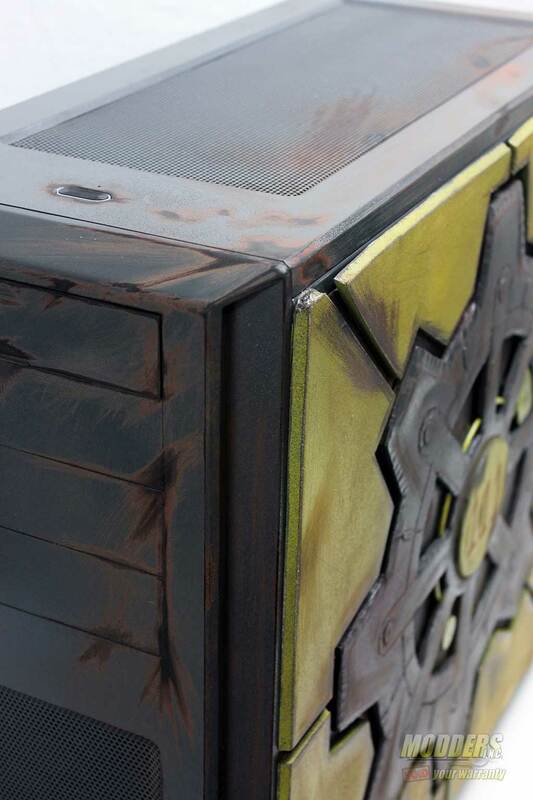 Color Options – you can get the GENESIS or MILLENNIUM in any color you want including fully custom airbrushed designs. 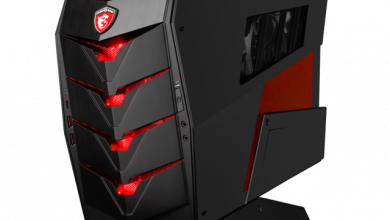 Remote controlled lighting – The ORIGIN PC GENESIS and MILLENNIUM desktops feature Remote controlled lighting built in standard on all systems. 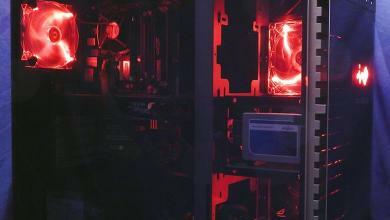 16 Lighting options and 4 modes give you a truly custom look to your PC. Security – The GENESIS and MILLENNIUM systems were designed for all situations including personal and professional environments. 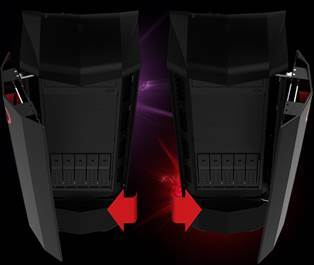 Both systems feature side panel levers with built in support for Kensington locks to restrict anyone from accessing the internals of your chassis. 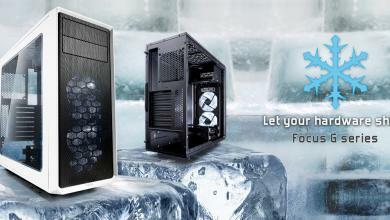 Both systems also offer an option for lockable hot swap hard drive bays.